Care By Llarowe's contribution to The Indie Pick Up for November is a clarifying shampoo and tinted lip balm. 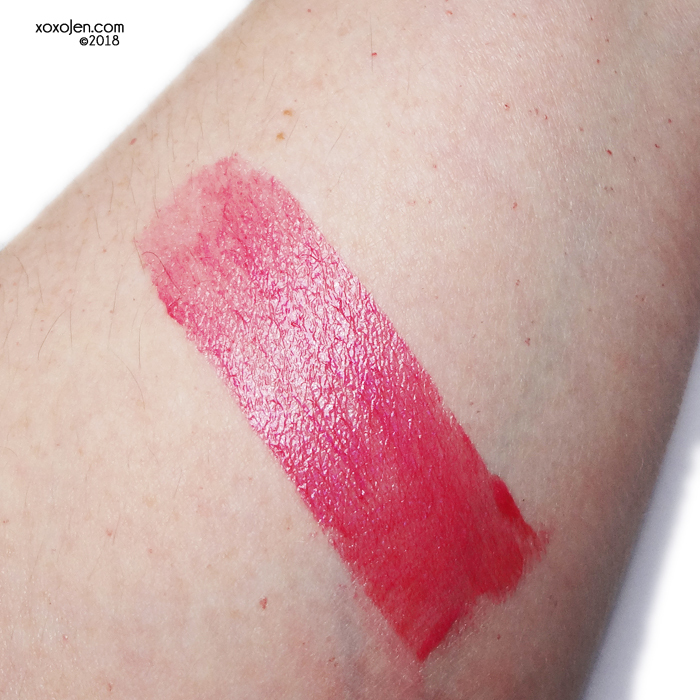 Baddie To The Bone lip tint is a nice and bright blue leaning red. It feels like silk when applied, and seems to wear well. I don't usually wear make-up, but because of its lip balm style, I could totally see myself reaching for this. CbL describes this as A hot pink lip balm with blue irridescent shimmer. The shampoo is very fluid and definitely rinses out the 'greasies' from hair. I shampooed twice with this and then used my usual conditioner and other hair products. My hair felt clean and shiny. The shampoo smells like coconut to my nose. CbL describes this as inspiration: Hilary Clinton - A clarifying shampoo in coconut and mango scents.